Located on top of Makanga hill, Kabale Town, this private guest house is a walking distance away from the Kabale Golf Course. Ideal for large families and large groups. House is fully furnished, with a large garden and a garage. Includes a 24 hour guard security, gardener, and House keeping & Chef are available on demand. 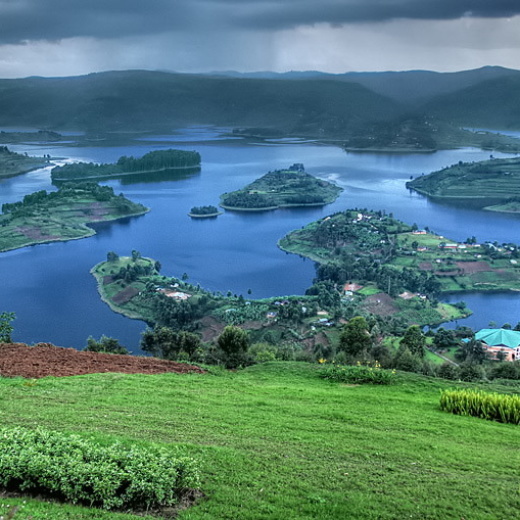 We are situated by the shores of Lake Bunyonyi, which has been described by the BBC as “the most beautiful lake in the world” and is often compared to the Switzerland. The word Bunyonyi means "place of many little birds" and is a bird watcher's paradise, with over 200 bird species in the area. Surrounded by terraced rolling hills, quiet well-manicured gardens and tranquil countryside atmosphere, there are few places on earth to rival the scenery and serenity. Nearby attractions include Bwindi Impenetrable Forest, Virunga Mountains and Lake Mburo National park.